They rode the ferry across the river to Kentucky and received a warm welcome when they arrived at the residence of Mrs. Ludlow. Sympathetic Boone County residents, as well as Big Bone Baptist Church, provided them with food, shelter, and supplies. They were in Boone Co. on November 28 and 29 and rode into Gallatin County the following night. Morgan’s escape from Ohio proved to be one of the most daring prison escapes of the Civil War. 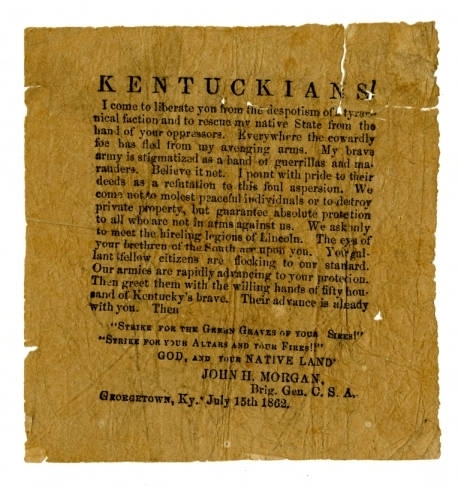 John Hunt Morgan Handbill: Handbill passed out by Morgan's men encouraging people to join their cause. Photo courtesy of the University of Kentucky. 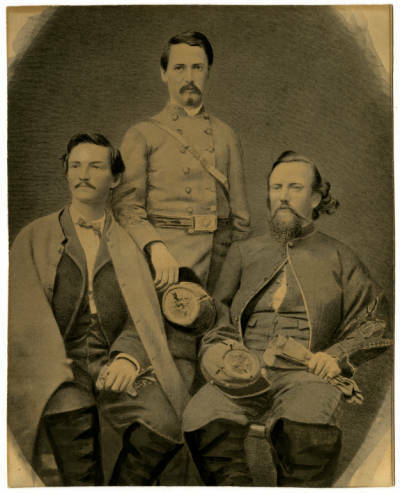 Morgan Portrait : This is a portrait of John Hunt Morgan, George B. Eastin, and Thomas Hines, with whom he escaped from prison. Photo courtesy of the University of Kentucky. 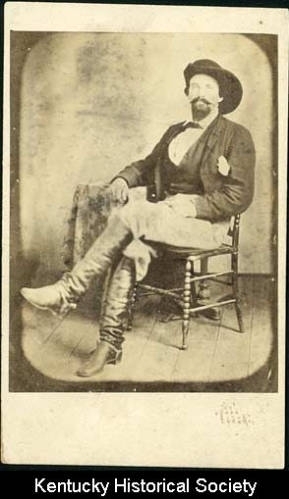 John Hunt Morgan: Photo of John Hunt Morgan in 1863. Courtesy of the Kentucky Historical Society. 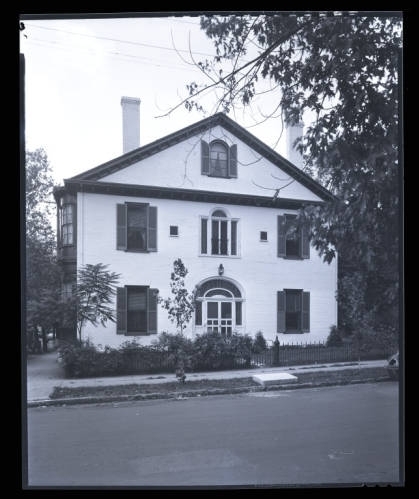 John Hunt Morgan's Home: Residence of General John Hunt Morgan in Lexington, Ky. Photo courtesy of the University of Kentucky. 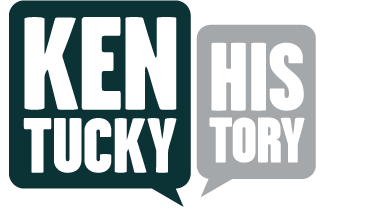 Becky Riddle, “John Hunt Morgan Escape Route,” ExploreKYHistory, accessed April 19, 2019, https://explorekyhistory.ky.gov/items/show/290.